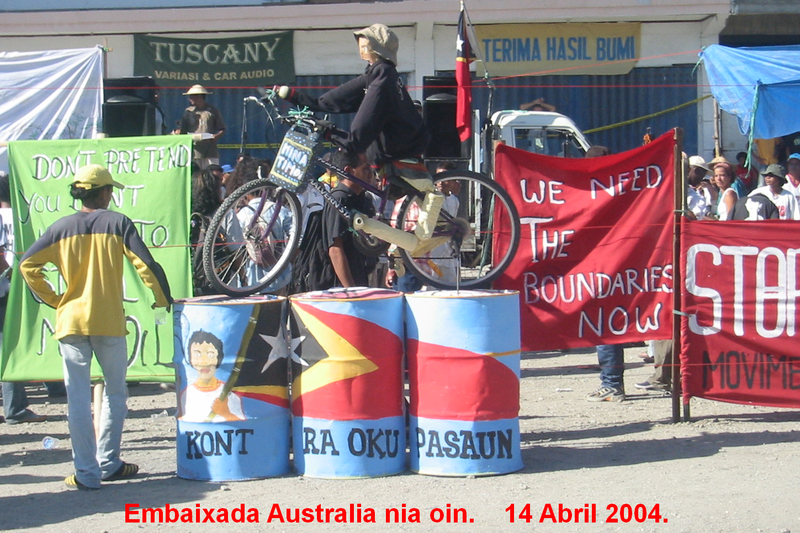 As you probably know, the Maritime Boundary Treaty will be signed by Timor-Leste and Australia at UN Headquarters in New York on Tuesday 6 March at 5:00 pm, which is 7:00 am on Wednesday in Dili. La’o Hamutuk is organizing a small party to celebrate this signing, as a popular victory which many people have struggled for since before Timor-Leste restored its independence. 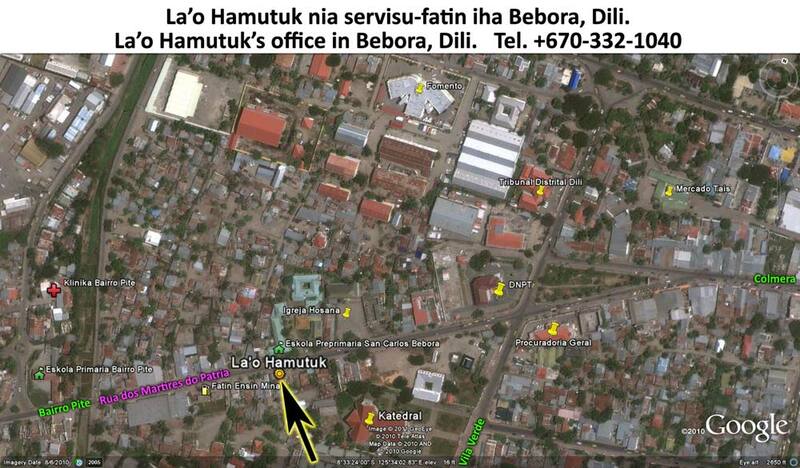 We invite everyone who supported this struggle to join us in celebration by sharing breakfast at La'o Hamutuk's office in Bebora. Come together with pride and joy to celebrate this victory, which we knew would be difficult but never thought was impossible. We won this 20-year struggle; our maritime boundary will follow the Median Line principle under international law. 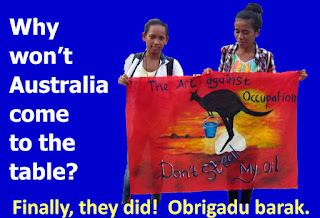 Although the government of Australia refused to recognize this right for many years, they finally recognized Timor-Leste's sovereign rights -- we won! 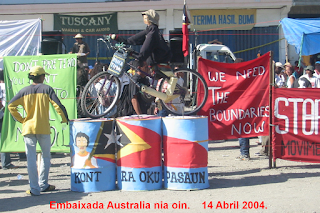 Once again, we invite all Timorese and international friends, as we all came together in the Movement Against the Occupation of the Timor Sea (MKOTT) to struggle for maritime boundaries, let us join in celebration of this victory of the Timorese people, solidarity activists and RDTL. Please bring coffee, traditional breakfast or other local food, to eat and drink together. 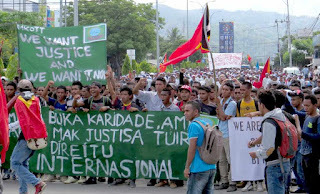 La'o Hamutuk will show photos from our struggle, and we will have music and sing together. Please share this information with other friends who might not see it. We greatly appreciate everyone's participation in this long struggle, and in this victory party.